Daisy Bates Elementary school garden is a wonderful program that not only teaches students to tend a garden, but also helps feed kids and families in the area. They even raise chickens and send seeds home with students. We were excited to hear about their program and donate to them as our monthly charity. This donation will help them get an irrigation system. Recycle Bikes for Kids brings joy to local Arkansas communities by providing kids with their very own bike. This organization spends hours fixing, assembling, and painting bikes for children that may not otherwise have the opportunity to own a bike. Bikes are given to kids free of charge, and adults can put in volunteer hours at the shop for a bike of their own. We’re honored to have Recycle Bikes for Kids as our monthly charity winner! On Saturday, April 2nd the firm participated in the Walk to Support ALS. The ALS Walk is an annual event and everyone at our office looks forward to participating each year. It is a great way to show our continued support for ALS patients and caregivers. This event brings awareness to ALS and we always have fun when families get together. The team at the ALS Association did a great job organizing food, music, and activities. It is also a way for us to keep the legacy of our partner, Stephen Holt, alive for all of our employees. Stephen was a fantastic lawyer and is still a large part of this firm. It is an honor for us to continue to be involved with supporting the ALS Association Arkansas Chapter in his memory. If you are interested in getting involved with helping the ALS Association of Arkansas check out their website. (http://webar.alsa.org/site/PageServer?pagename=AR_homepage) It is a great organization doing fantastic work for ALS patients in Arkansas. Rainwater, Holt & Sexton is proud to support Love Cuts, a nonprofit operating at the Dream Center. Love Cuts provides free haircuts to those who need them most. This money will be used to buy barber equipment for the team, as well as shampoo and other hygiene products for participants who can’t afford them. We are excited to be able to donate $5,000 to the ALS Association of Arkansas’ Walk to Defeat ALS. The ALS Walk is a cause that is near and dear to our hearts, as our partner Stephen Holt, passed away a little over two years ago from ALS. Read about Stephen here. Since his diagnosis supporting the ALS Association of Arkansas has been one of our biggest priorities and a way for us to honor his memory. This year we will once again be attending the ALS Walk in Little Rock with a large contingency from Rainwater, Holt & Sexton. It is a time for fellowship with our coworkers, and most importantly a time to remember Stephen. Many of our newer employees never had a chance to meet Stephen, or understand what ALS is and how we can help. This serves as an opportunity to tell both stories and keep his memory alive within the firm. If you would like to join us at the ALS walk please register at the ALS Association of Arkansas’ website. Bikers Against Child Abuse is a wonderful charity because of what they do for children. Rainwater, Holt & Sexton is proud to donate to them as a part of our monthly charity giving. They help protect children in the community from their abusers and work to make those children feel safe. Rainwater, Holt & Sexton proud to support Search Ministries of Little Rock as our monthly charity winner. Search Ministries provides a safe and thoughtful environment for spiritual discussion among peers. Family Home Little Rock is dedicated to providing affordable lodging in a home-like setting for cancer patients and parents of premature infants being cared for at the UAMS Medical Center. Family Home also provides a cancer support center, where education, fellowship, and nurturing can take place in a supportive atmosphere. Rainwater, Holt & Sexton is proud to support this great organization as one of our monthly charities. They provide a great service to the patients at UAMS. Rainwater, Holt & Sexton is honored to have been named a finalist for the Arkansas Business of the Year for 2015 presented by Arkansas Business Publishing Group. We were proud to be listed as one of the five finalists for Category III, which featured businesses from 76-300 employees. As a part of the award, we were invited to attend a banquet with other nominees where all the finalist were recognized and winners were announced. We were able to learn about numerous other businesses, executives, and what makes them successful in their field. Other nominees for Category III included DataPath, Inc., Kimbel Mechanical, Pinnacle Hotel Group, and Travel Nurse Across America. Kimbel Mechanical was the winner for Category III. Since the firm opened in 2006, Rainwater, Holt & Sexton has continually grown by adding practice areas and staff to help the people of Arkansas. A workers compensation practice was added in 2015 to compliment previously established practices of personal injury, social security disability, bankruptcy, and county defense work. 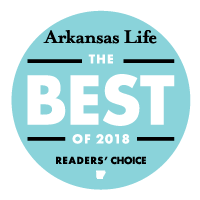 This is the second time Rainwater, Holt and Sexton has been a finalist for a 2015 award given out by Arkansas Business Publishing Group, the first being Best Places to Work in Arkansas. On Thursday, October 29th our firm had the distinct privilege of unveiling a portrait honoring our late partner, Stephen Holt. Stephen passed away in January of 2013 after a courageous battle with ALS. We are grateful to the wonderful group of coworkers, church members, and friends that attended. We were also very honored to have Stephen’s wife and children in attendance. Stephen will always be part of this firm. The beautiful portrait done by Olvita Goolsby memorializes Stephen to those of us who knew him well and to generations of employees ahead that will continue to build upon his legacy. It’s always good to see our money at work in the community, it’s even better when we see young people using it to help veterans. We were lucky enough to be able to donate $974 from our employee driven vending machine charity to a wonderful Girl Scout Troop. Troop 6292 raised money to make care packets for patients at the North Little Rock Veterans Administration Hospital. Recently they prepared those packets and were able to get them to the hospital just in time for Veterans Day. Check out this article from the Arkansas Catholic on these girls serving their community. We are so proud of our staff for supporting the Susan G. Komen Race for the Cure on Saturday! Through the years we have seen Breast Cancer impact the life of employees and friends of Rainwater, Holt & Sexton and we appreciate this group for walking to make a difference! A group of lawyers and case managers attended a pro bono estate planning clinic at the UAMS Winthrop P. Rockefeller Cancer Institute on October 28. The clinic was open to all cancer patients in treatment or who had completed treatment that needed legal assistance preparing wills. We are very grateful for this great group of lawyers and case managers who were on hand to help 16 patients prepare a will. Monthly Charity Giveaway Winner H.A.V.E.N. H.A.V.E.N. (Help for Abuse Victims in Emergency Need) in Conway, Arkansas, provides housing and care for young girls who have been taken into custody by the state. They enroll the girls in school, give them a safe place to live, and provide food, clothing, and other essentials that children need to thrive. Visit the H.A.V.E.N Facebook page to find out how you can get involved! Rainwater, Holt & Sexton attorneys John Rainwater, Jeremy McNabb, and Geoff Thompson, as well as fellow Arkansas attorney Casey Beard, participated in the 2015 Bike & Hike Challenge for ALS on Sunday, August 23. The event starts with a rigorous 18-mile bike ride, followed by a steep hike up Pinnacle Mountain, and finishes with another 18-mile bike ride back to the starting line. It’s all for a good cause, of course! Funds raised by the event go to help ALS patients here in Arkansas. A group of Rainwater, Holt & Sexton attorneys participate in this event every year in memory of our partner, Stephen Holt.